Thinking of traveling in the Mediterranean this Summer? An alternative to staying in hotels or resorts is spending time at sea. There are many places only accessible by boat that would offer more than what can be experienced when your accommodation on land. With hotels, although pleasant, to see a different destination each day takes time and money. While chartering a yacht provides the freedom to explore more with a different and unique sunrise and sunset each day. You can plan your own custom itinerary with your captain, discuss everyday or beforehand where you wish to go and what type of things you would like to do. There is also the freedom of pool hours. The sea is yours whenever you wish to enjoy it. There are no limitations to sun beds as everyone has their own all the time. Meals are fresh, and made the way you prefer it to be. There are no other tables served – just yours. No line-ups. Peace and quiet when you feel like it. Excursion choices plenty… and the list goes on. 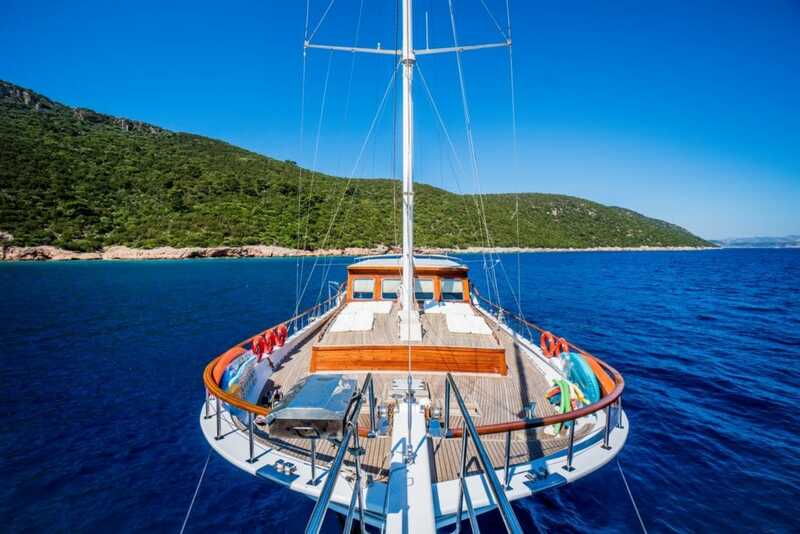 Why not embark on a luxury yacht charter Mediterranean holiday from the beautiful shores of Southern Turkey. Turkey is unique in the gulet charter industry – as these special wooden boats are built here.